EXILE's charity song and ATSUSHI's solo song to be released as a double A-side single! 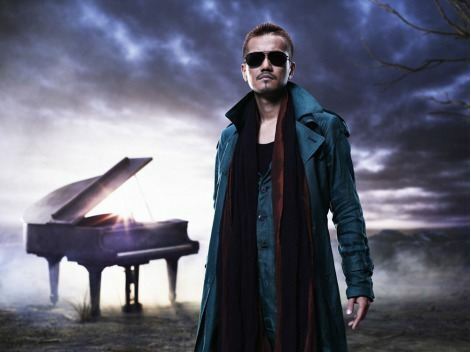 Previously, tokyohive reported that EXILE's ATSUSHI would be making his solo debut with the song, "Itsuka Kitto...". In the past, ATSUSHI presented solo songs through EXILE's albums, but this will be the first time a CD will be released under his own name. Their 10th anniversary release, therefore, is an extra special one - EXILE/EXILE ATSUSHI will release a double A-side single titled, "Rising Sun/Itsuka Kitto..."! "Itsuka Kitto..." is a song that expresses ATSUSHI's anxiety and desire as a single man. The song was made with great care, as he double-checked every word and sound during the recording. "Itsuka Kitto..." is currently the theme song to the TV Asahi drama, "Hi wa Mata Noboru". After the Tohoku Earthquake, EXILE has made many efforts to help the disaster victims, such as making donations, visiting disaster areas, and distributing food. The group also produced a powerful and upbeat dance number called "Rising Sun", to help cheer up the victims. It's said that ATSUSHI and TAKAHIRO worked long hours, making many minor adjustments to the song. Additionally, EXILE incorporated moves from Morioka's 'Yosakoi Dance' into "Rising Sun", and arranged it into their own style. "Rising Sun/Itsuka Kitto..." will come in two different editions: a CD+DVD version and a CD-only version. It will be released on September 14th. Additionally, EXILE will kick off their dome tour, "EXILE LIVE TOUR 2011 TOWER OF WISH~Negai no Tou~", on November 26th at Kyocera Dome in Osaka. New PV teaser revealed for 2PM's "I'm Your Man"
GReeeeN to sing for Okada Masaki's movie "Antoki no Inochi"